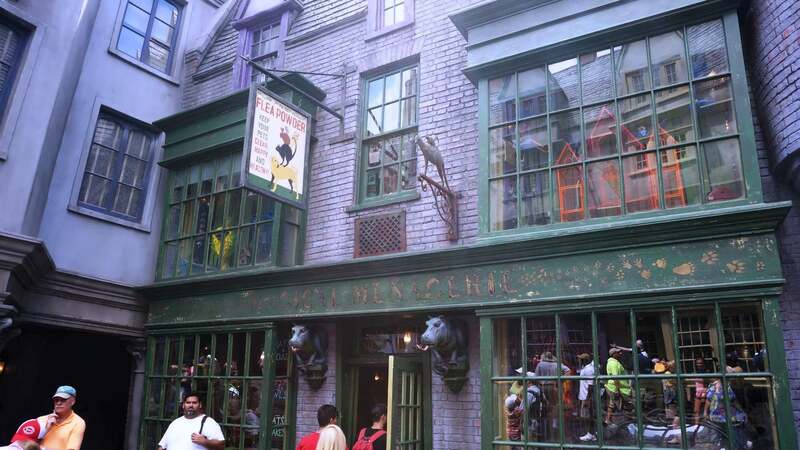 In the Harry Potter books and movies, Diagon Alley is where young wizards and witches attending Hogwarts School of Witchcraft and Wizardry go shopping for their supplies before the start of the new school year. 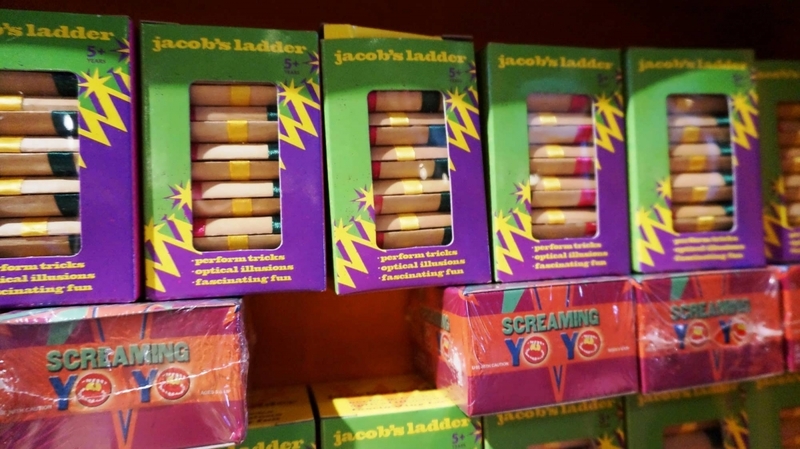 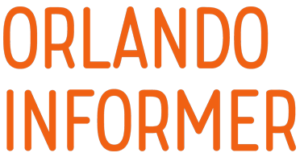 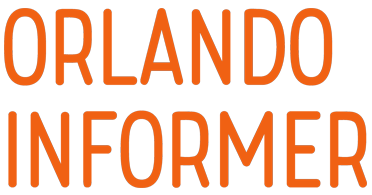 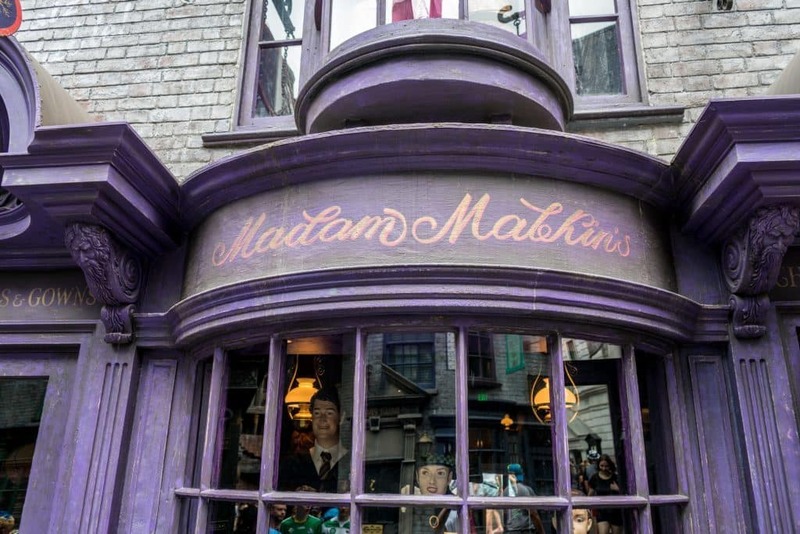 Many of these stores and their merchandise have come to life in the incredible, immersive experience that is The Wizarding World of Harry Potter – Diagon Alley, which provides a voluminous amount of one-of-a-kind items faithful to the Harry Potter series. 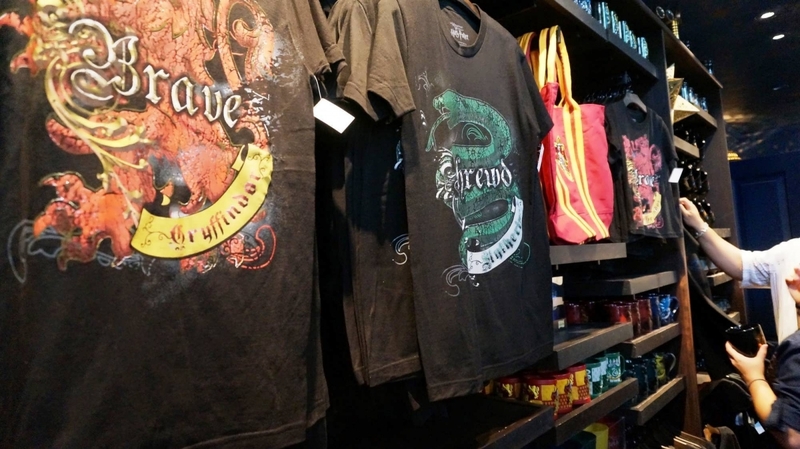 To start our discussion, we’ll look at some of the items and location where you can buy Wizarding World merchandise outside of Diagon Alley, and then we’ll head to the London waterfront. 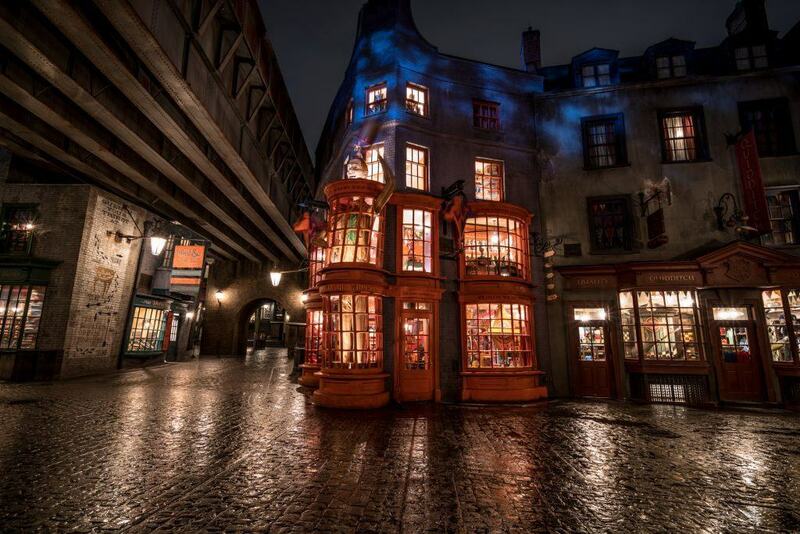 And you don’t want to miss our photo gallery at the bottom of the page, which features over 100 full-screen images. 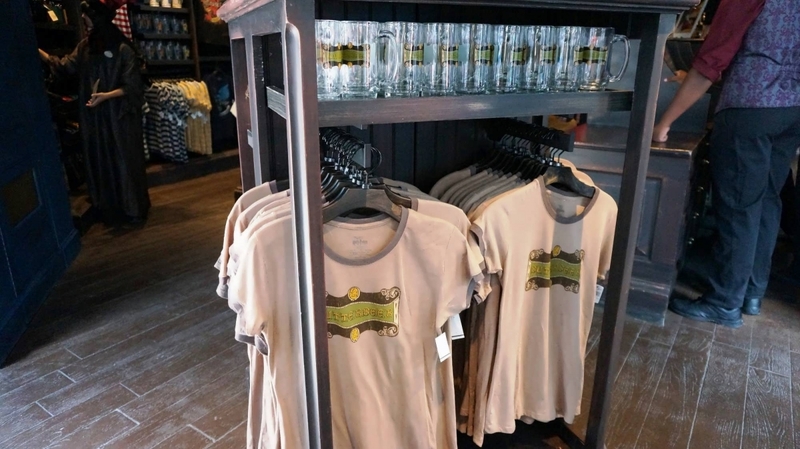 The first place you will find Wizarding World merchandise is in the Universal Studios Store at CityWalk and in the big, front-entrance gift shops at Universal Studios Florida and Islands of Adventure. 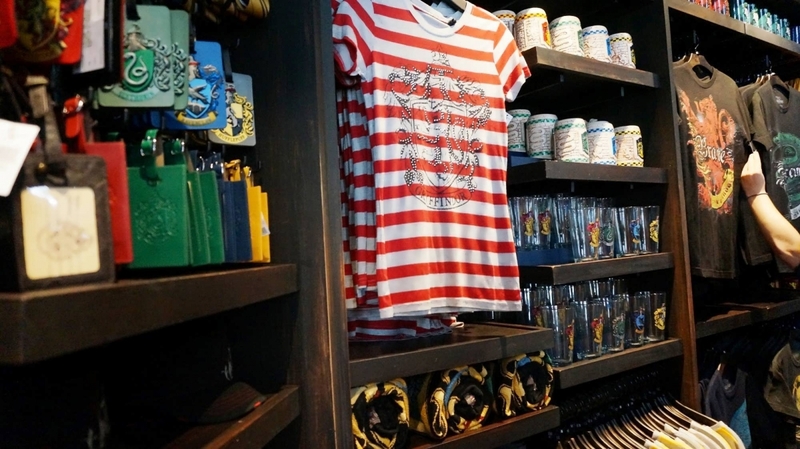 Although these three locations have similar items, the biggest selection is available at IOA’s Islands Trading Company, which includes hats and t-shirts for $25 and Howarts beer steins that start at $17. You can find a feather quill pen for $15 and a box set of all seven Harry Potter books in softback for $100. 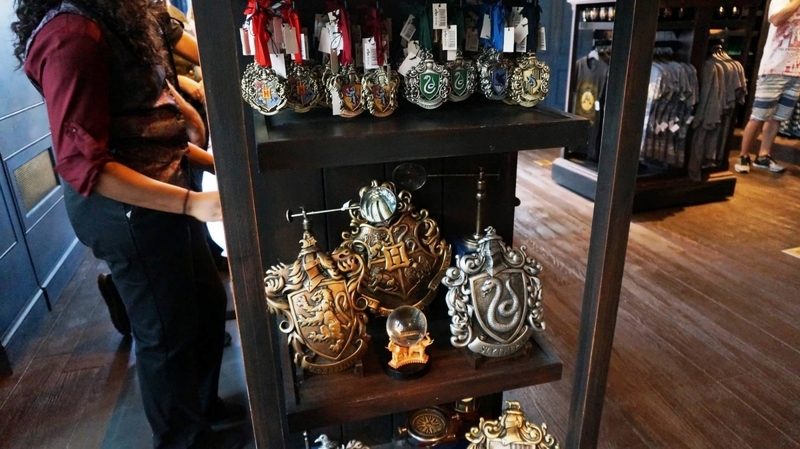 Character wands are also available for $44, and Hedwig backpacks go for $35. Before entering Diagon Alley proper, guests experience the London waterfront, featuring the Knight Bus, Grimmauld Place, and Wyndham’s Theater. 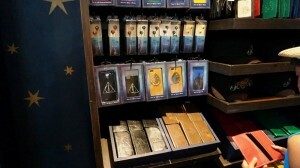 A merchandise kiosk sits near King’s Cross Station and offers a variety of tourist items specific to muggle London. 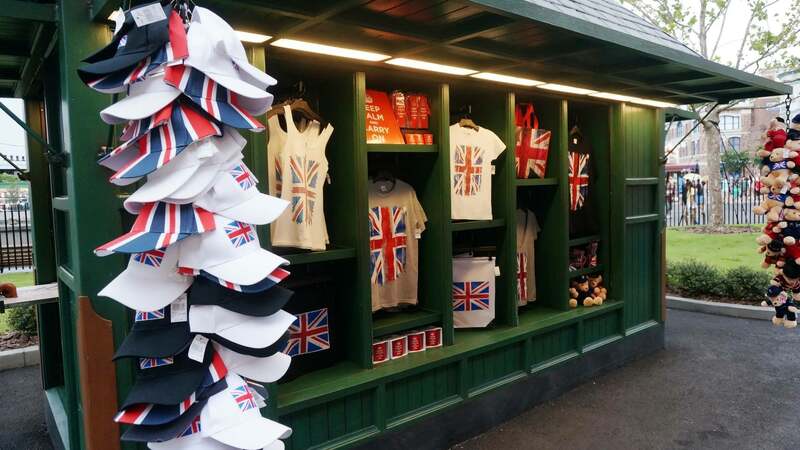 Some of these include the United Kingdom flag (called the Union Jack) adorning baseball caps ($22), t-shirts ($22 to $28), and various sweatshirts ($46 to $48). 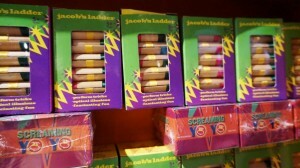 This artwork continues on infant onesies ($22) and pens ($4). 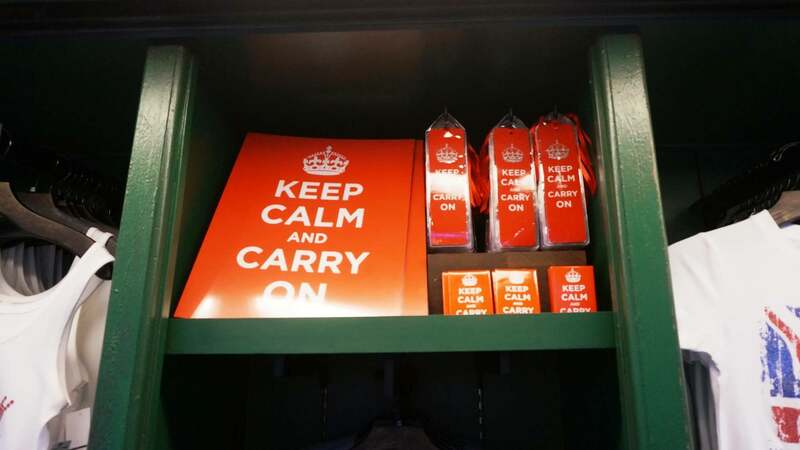 “Keep Calm and Carry On” slogans can be found on mugs for $17, and a plush double-decker bus, that icon of London’s transportation, comes in at $17. 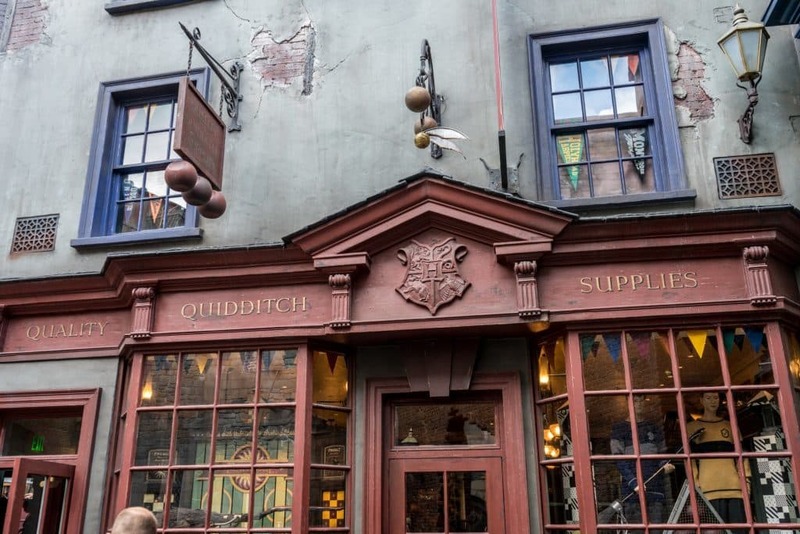 Transitioning from London to Diagon Alley, Quality Quidditch Supplies is the first shop you encounter (on your right). It sells clothing and other items related to the wizarding world’s most popular sport, Quidditch! 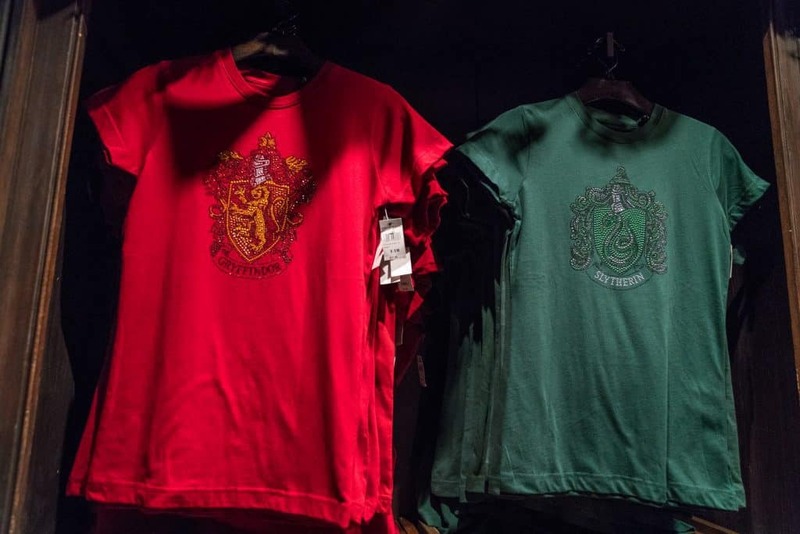 A variety of Quidditch shirts highlighting each of the Hogwarts house colors cost $35. 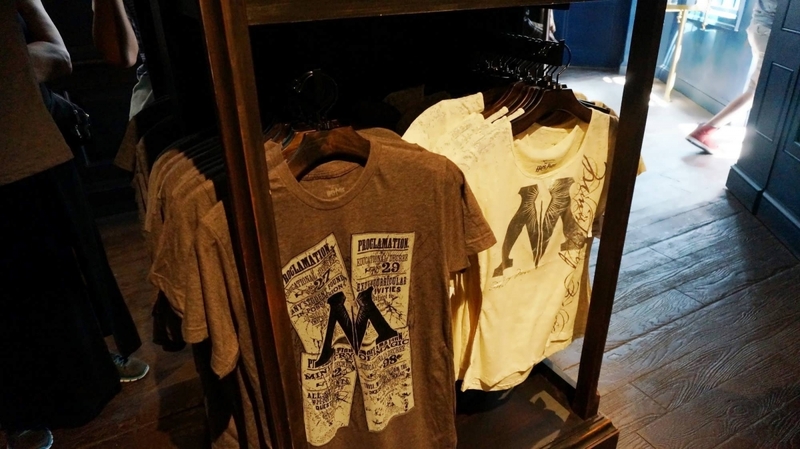 There’s a pretty big selection of shorts, including gym ($30), sweat ($35), and women’s ($33). 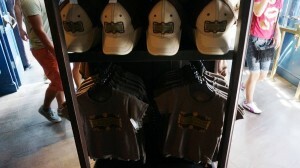 T-shirts and tank tops promoting Gryffindor and Hogwarts Quidditch are $30, and baseball hats in house colors are $25. 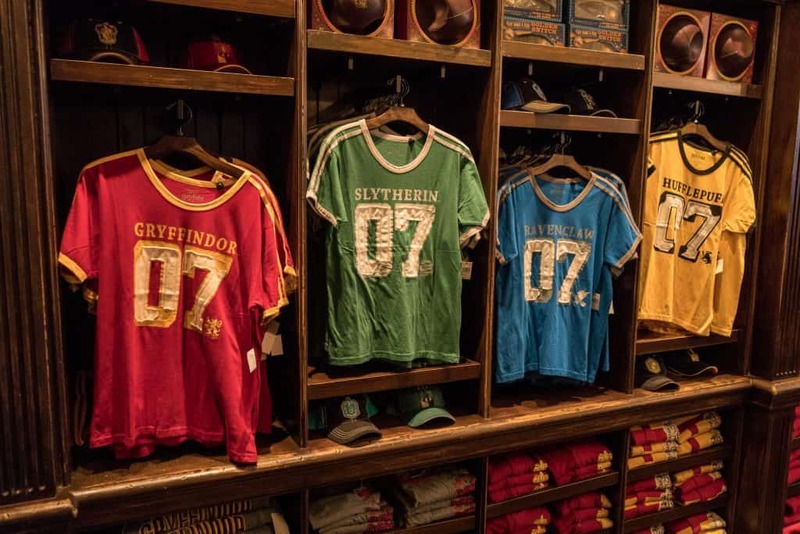 Higher-end apparel is available to promote your favorite house, including house rugby shirts ($50) and sweaters with an embroidered house emblem ($110). 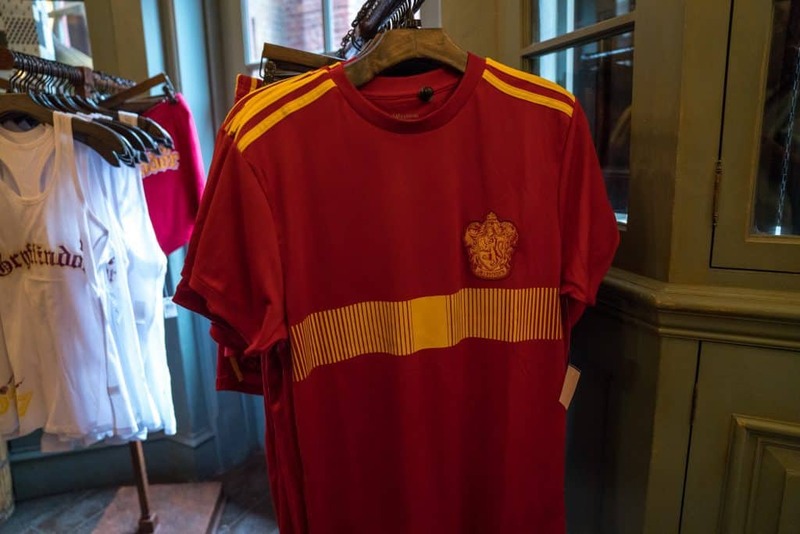 Then there’s also long-sleeve house shirts ($35) and a kid’s Quidditch robe (available in Gryffindor and Slytherin only) ($70). 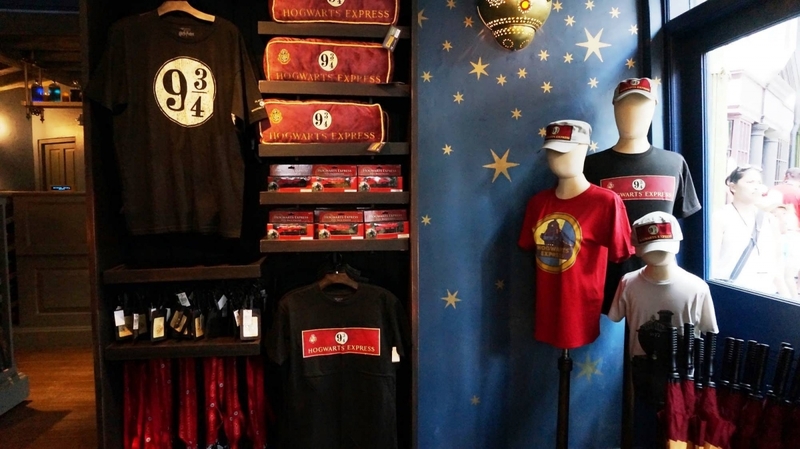 Non-apparel items for sale include house water bottles ($17), pins ($11 to $20), a Gryffindor house duffel bag ($53), and a Gryffindor golf umbrella ($20). 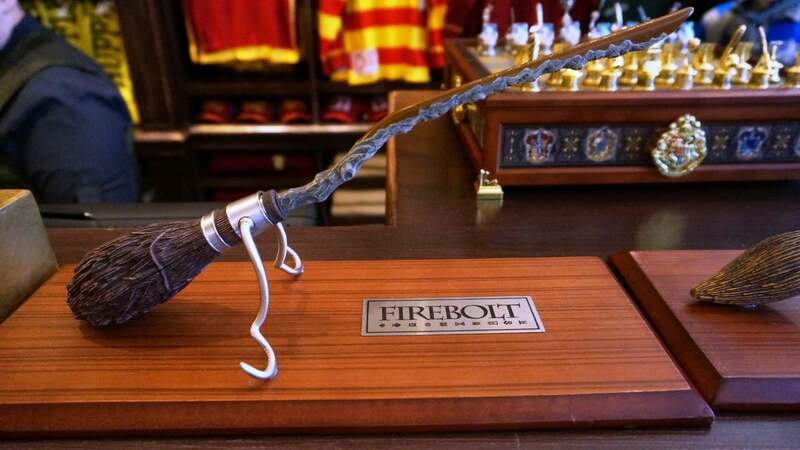 Desktop models of the Firebolt and Nimbus 2000 brooms are $65 each, and a stunning Quidditch chess set is $300. 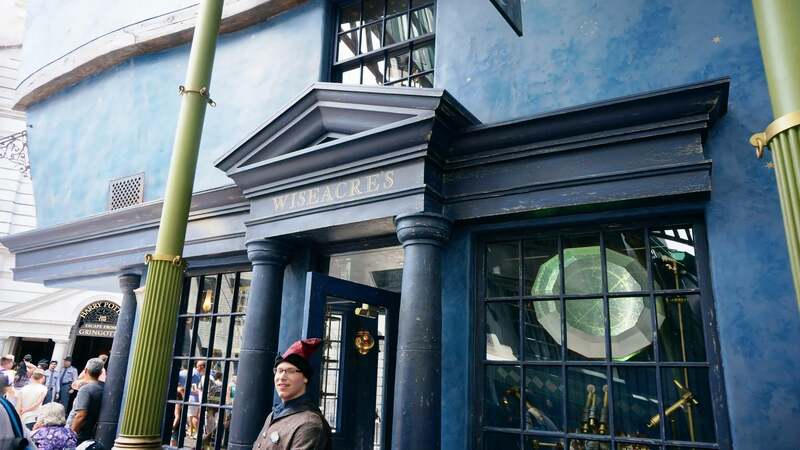 The Weasleys’ Wizard Wheezes novelty joke shop is a very prominent store in Diagon Alley, with a 20-foot-high Weasley tipping his hat as a white rabbit appears and disappears on his head. 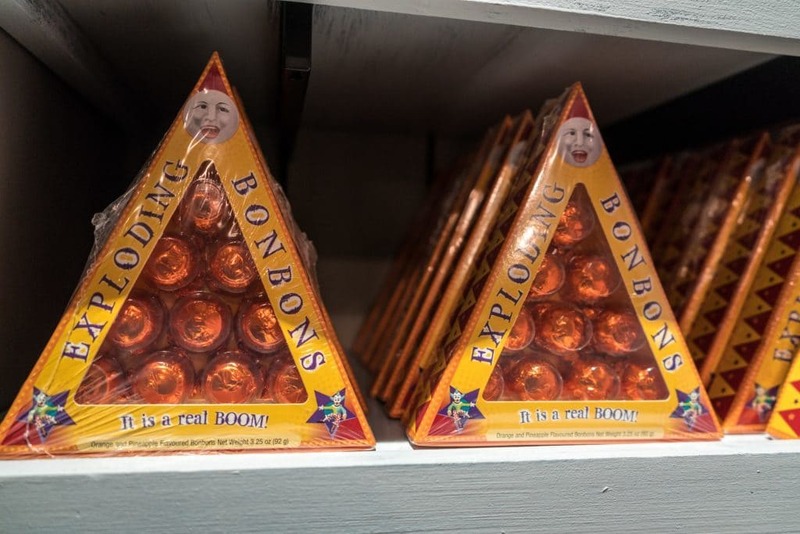 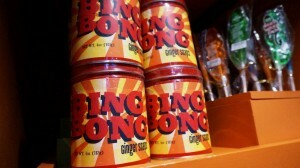 A multitude of jokes, gags, and fun food are available for purchase in this small-yet-wonderfully-decorated shop run by the Weasley brothers. 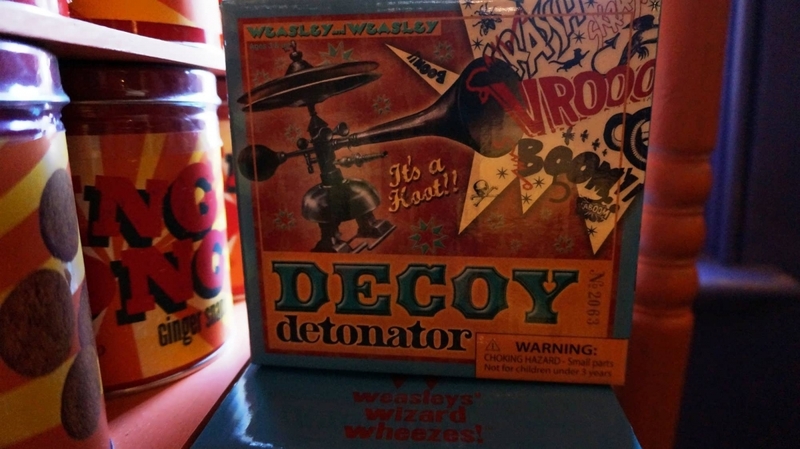 Items include a Decoy Detonator ($19), chattering teeth ($7), and Extendable Ears ($23). 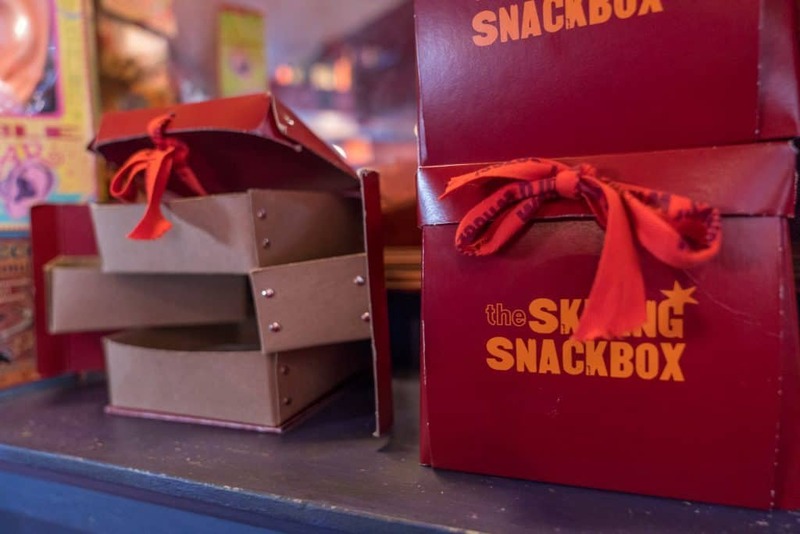 Skiving Snackboxes are $40, while Puking Pastilles and Fainting Fancies candies are $7 each. 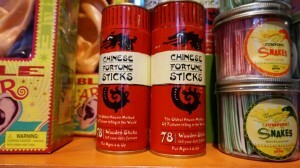 Chinese Fortune Sticks can be purchased for $15. The very popular Pygmy Puffs range from $19 (small) to $35 (large), and there are several associated Pygmy items: t-shirt ($33), keychain ($11), and slippers ($35). 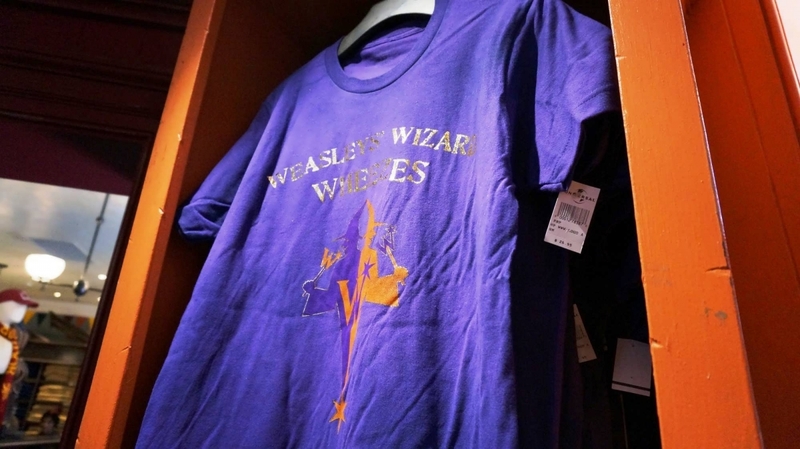 You can also find a Weasleys’ Wizard Wheezes t-shirt for $30 and unique pins for $7 to $14. This shop provides robes for all Hogwarts students. On display are dress robes, including a stunning magical dress. 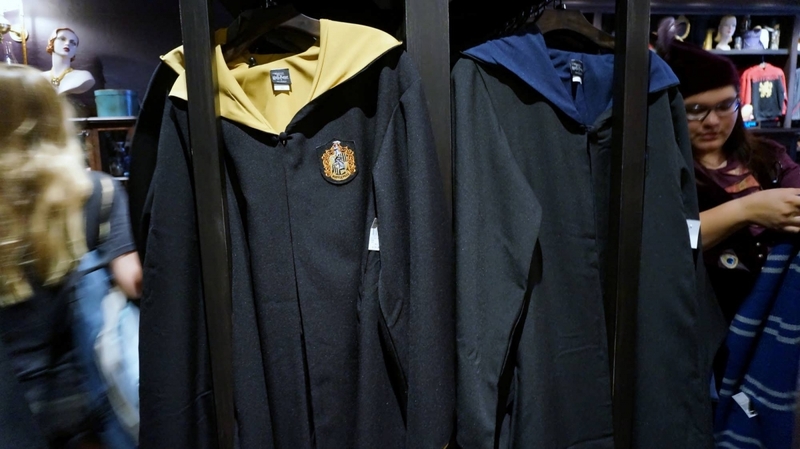 House robes are $115. 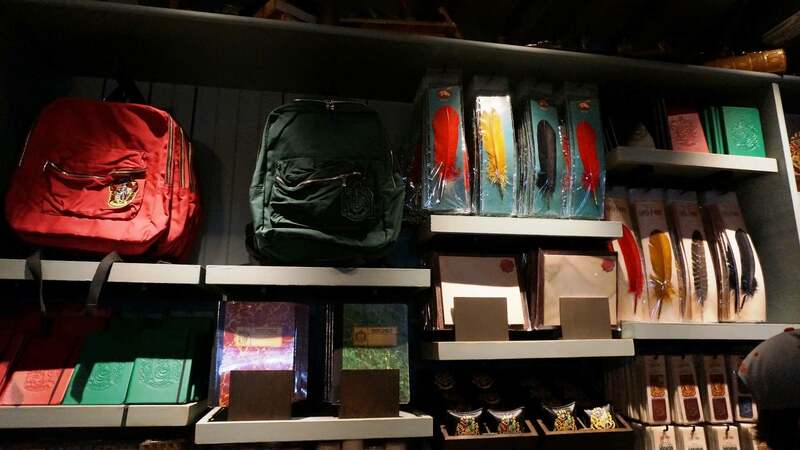 Also found here are Gryffindor polo shirts ($50), house cardigan sweaters ($90), house scarves ($39), sugand house backpacks ($50). 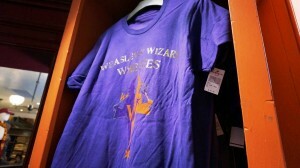 A Hogwarts jewel t-shirt is $38. 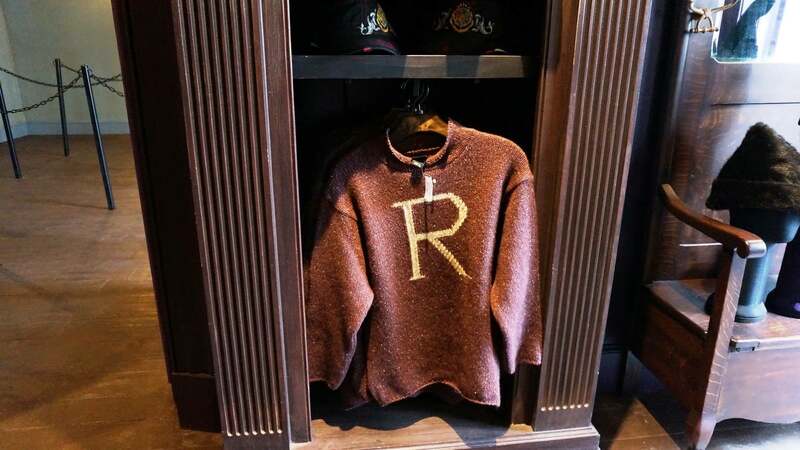 Molly Weasley-knitted sweaters with the letter R or H on them retail for $90. 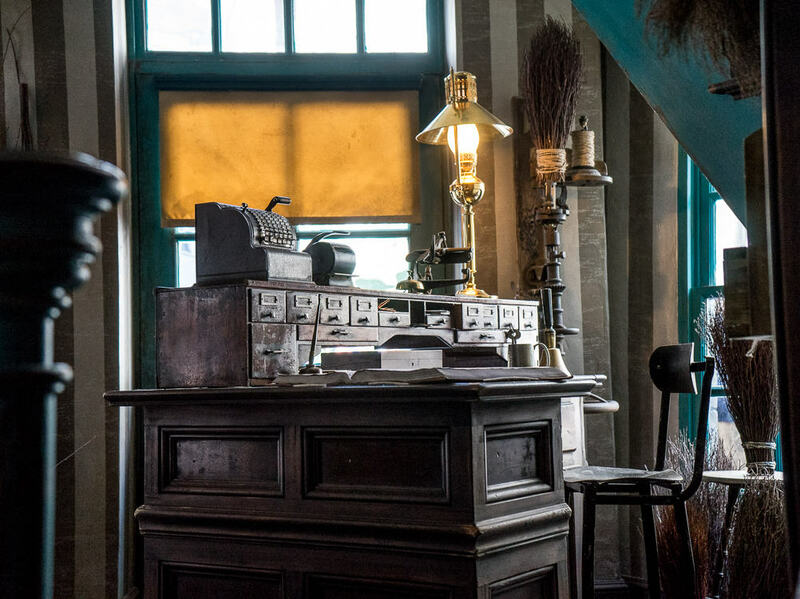 Relocated next to Madam Malkin’s on the main stretch of Diagon Alley, we find Shutterbutton’s Photography Studio, offering a “moving pictures” scrapbook DVD for $60. Guests stand in front of a green screen, where different scenes from Diagon Alley and Hogsmeade are added to create various moving photographs. 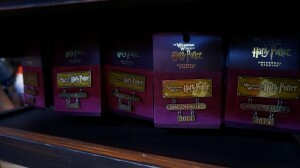 The images are incorporated into a “moving pictures” scrapbook and burned on a DVD for the guest to take home. 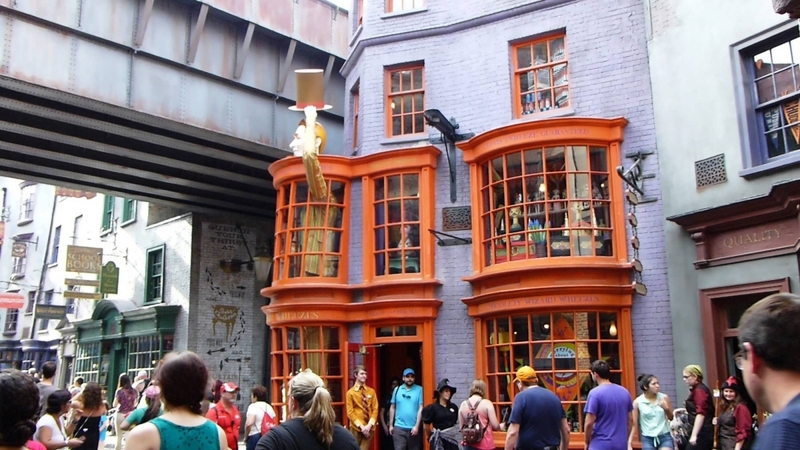 Don’t worry, though, dear muggles – if you just want still photos, you can do that, too, for $30. 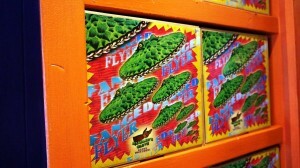 If you purchase the DVD and still want prints, Shutterbutton’s will give you $10 off the latter. 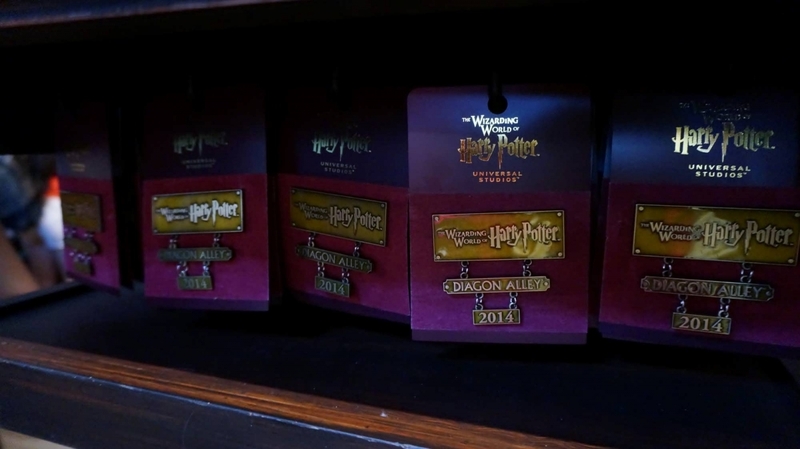 The sample DVD movie on display begins with an image of a leather scrapbook titled “Harry Potter.” The scrapbook then opens and its pages turn, showing all the magical photographs inside. 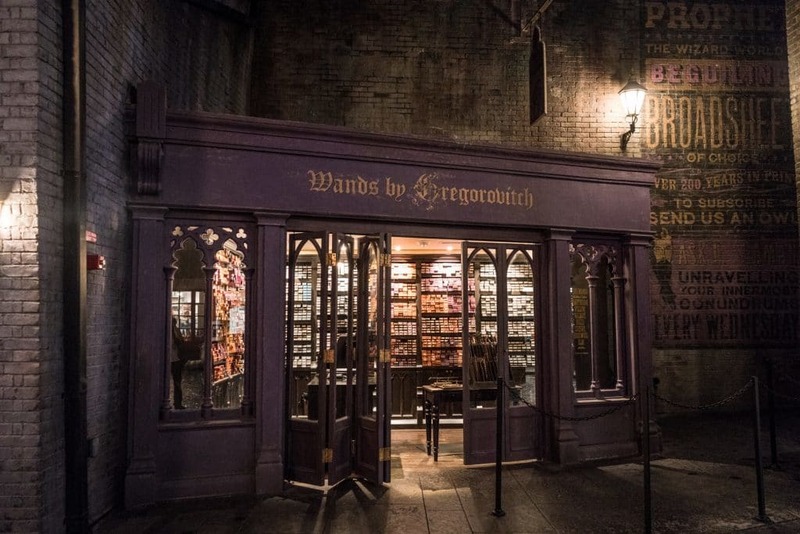 Ollivander’s Wand Shop (located on Diagon Alley) and Wands by Gregorovitch (located in Carkitt Market) each sell non-interactive wands for $44 and interactive wands for $50. 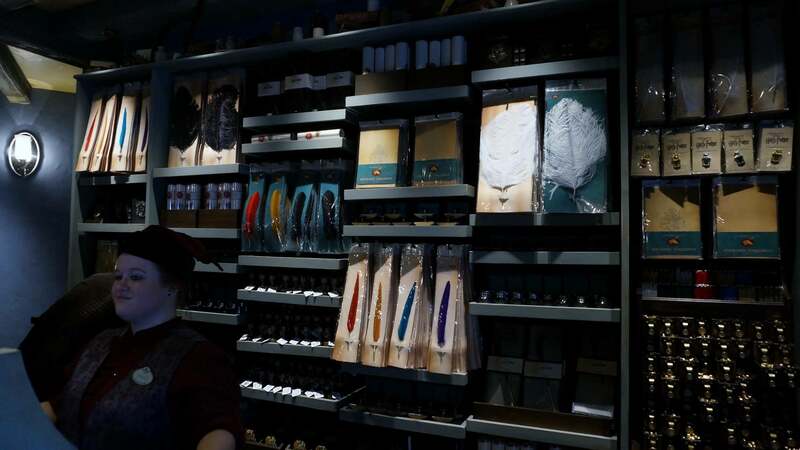 There is no difference between the merchandise sold at Ollivander’s and Gregorovich; the latter is offered simply as an alternative in Carkitt Market should Ollivander’s have a long queue for its show. 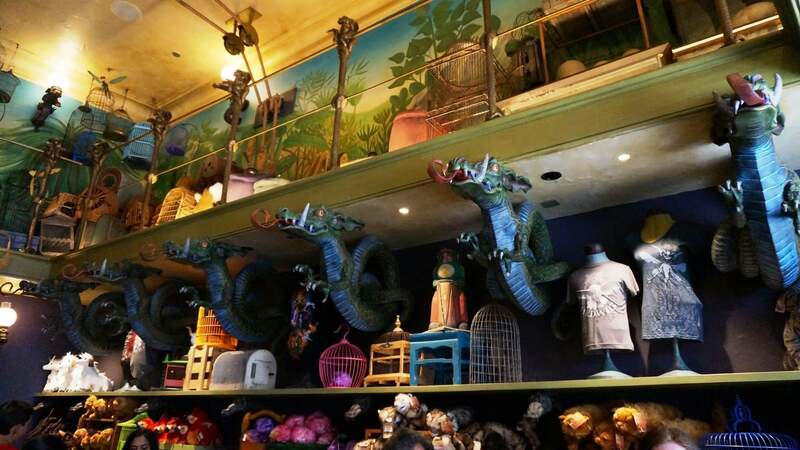 Located in Horizont Alley to the left of Gringotts Bank, Magical Menagerie is a shop full of plush fantastic beasts from the Harry Potter books and films. 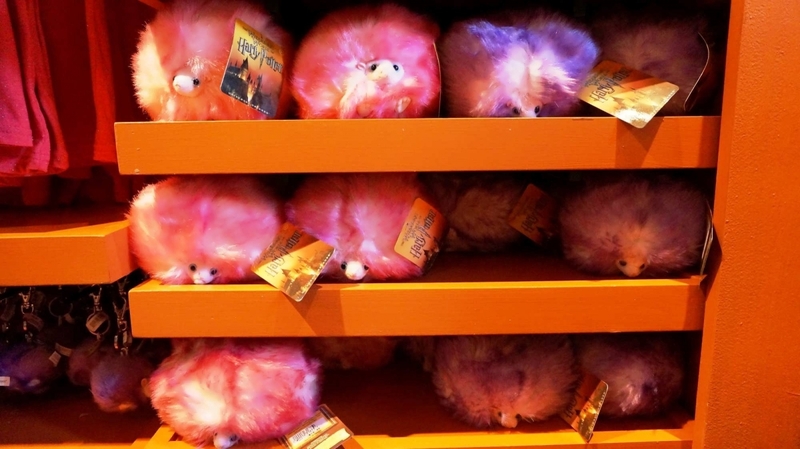 Well-known creatures like Buckbeak, Fang, Fluffy, Scabbers, and Crookshanks sell for $19 to $30. 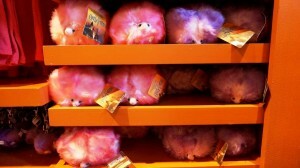 Those pesky pixies are $15 for the plush variety and $13 for plastic figurines. An assortment of owls is $17 to $35, and an owl backpack sells for $37. 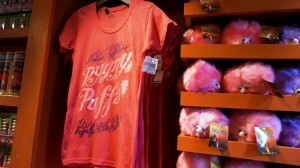 Select t-shirts featuring magical creatures like Fawkes and Buckbeak are $30 to $33. 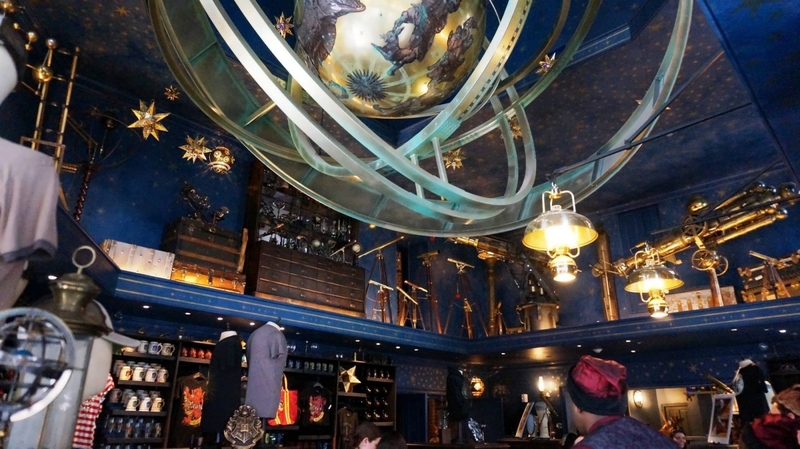 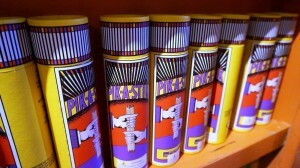 Wiseacre’s Wizarding Equipment is the gift shop for Diagon Alley’s signature attraction, Harry Potter and the Escape from Gringotts. This wonderfully-decorated store features Butterbeer-related t-shirts for $30; hoodies, $55; hats, $25; and glass mugs, $22. Deathly Hallows and Hogwarts smartphone cases are $30. Merchandise related to each house includes t-shirts ($33) and sweaters ($63). 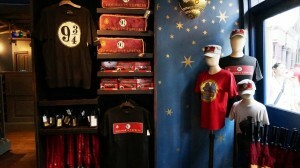 For train fans, Hogwarts Express and Platform 9 3/4 shirts range from $25 to $37. 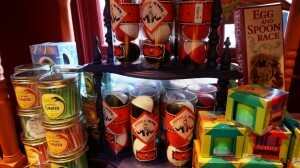 Hogwarts Express pillows, beanies, gloves, signs, and keychains range from $15 to $47. 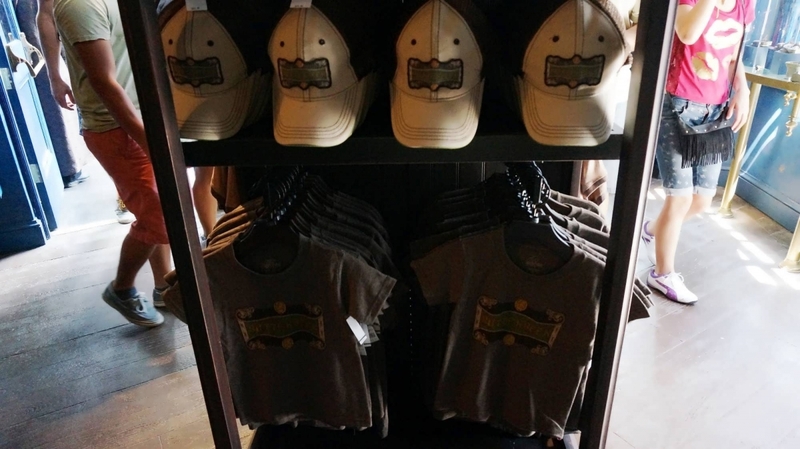 model train engines, t-shirts, and pillows are also available. 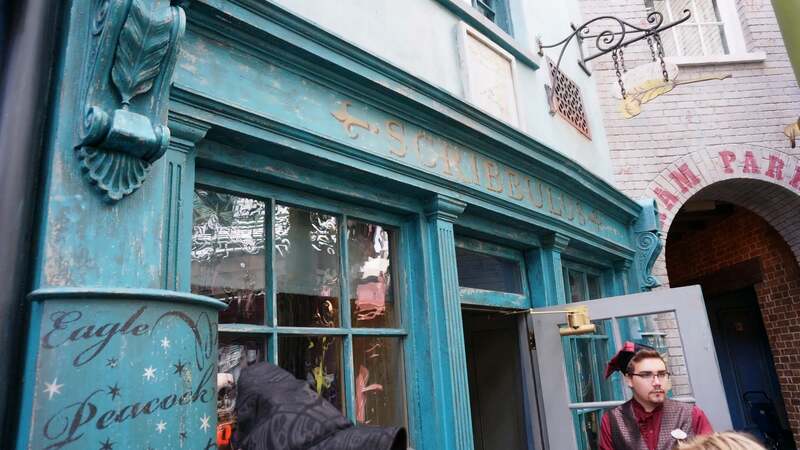 Also located in Horizont Alley, to the right of Gringotts Bank, is Scribbulus Writing Instruments. 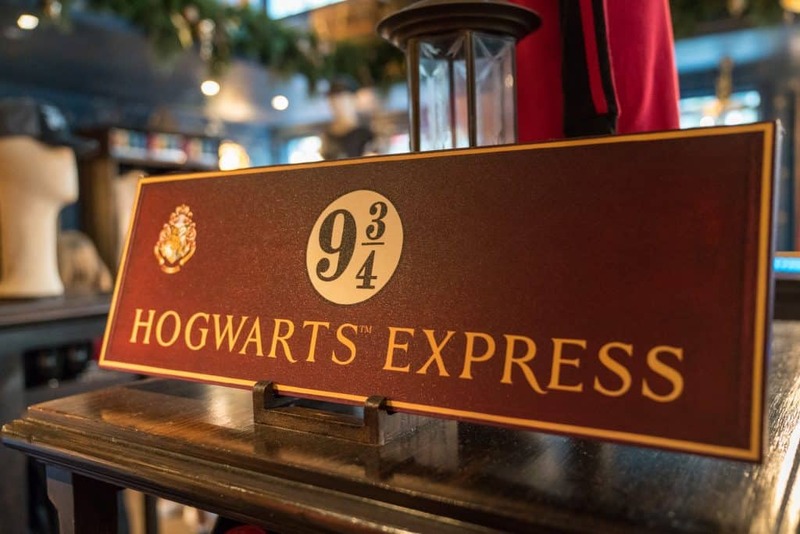 It’s actually connected to Wiseacre’s, and it features all the Hogwarts stationery supplies a student requires, including quill pens ($13 to $40), journals ($17), house book magnets ($8), and glass ink wells ($25). 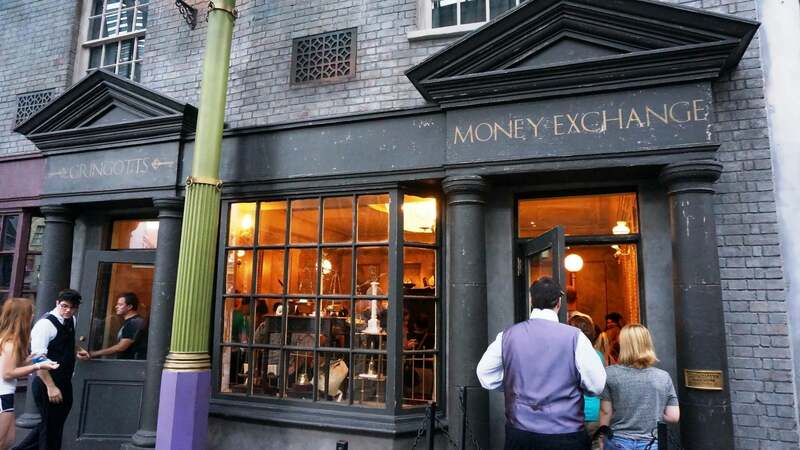 At the Gringotts Money Exchange, guests can exchange muggle money for Gringotts notes in $10 and $20 denominations. 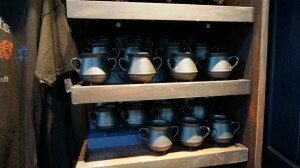 A realistic audio-animatronic goblin oversees this process and can be somewhat intimidating. The wizarding money can be used throughout Universal Orlando Resort. 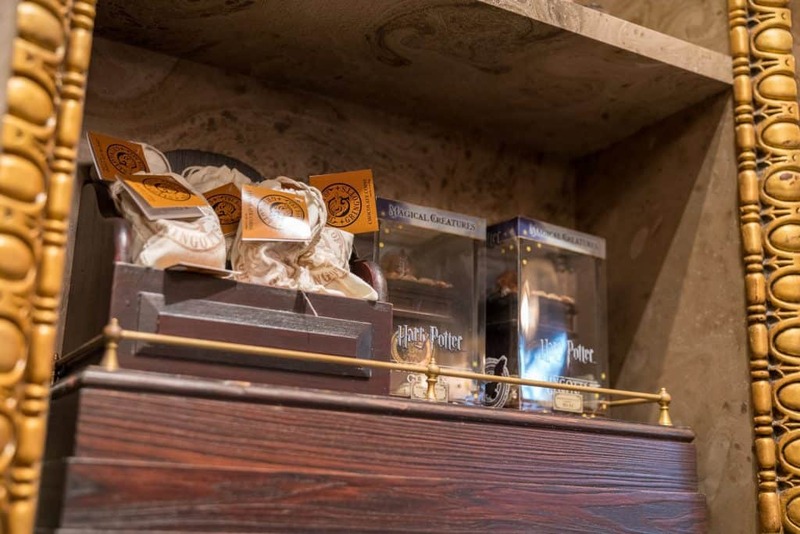 Other Gringotts-related items available include wallets ($25), pins ($13), coin purses ($17), and chocolate coins ($7). 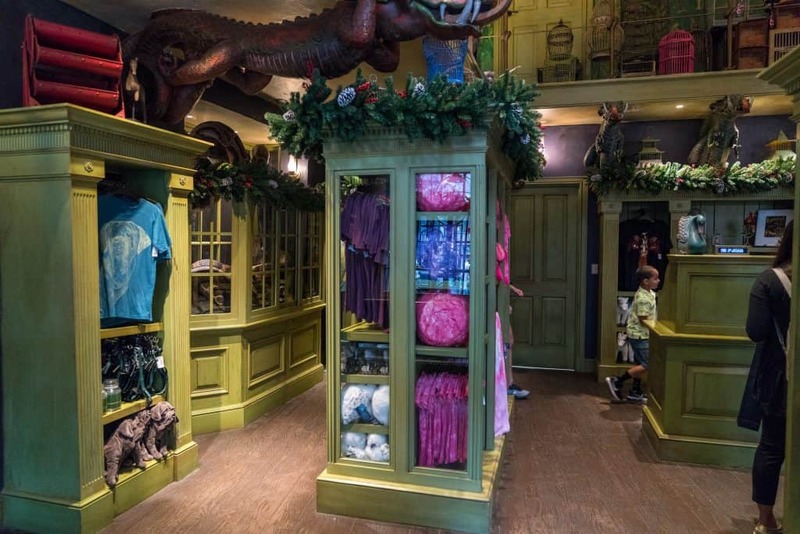 The only store to be added after Diagon Alley’s opening is Sugarplum’s Sweet Shop, situated in Shutterbutton’s former location in Carkitt Market. 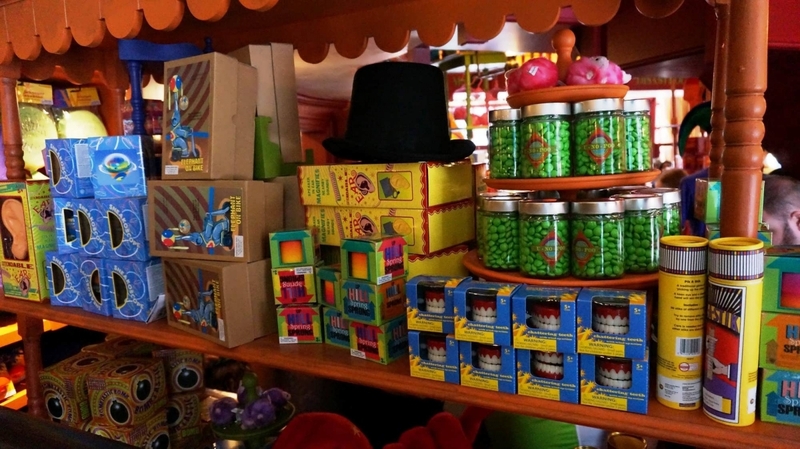 This is the candy shop of Diagon Alley, and though it offers many of the same wares as its counterpart over in Hogsmeade, Honeydukes, it’s still well worth checking out. 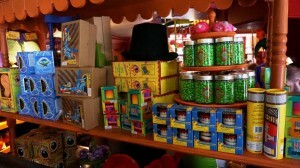 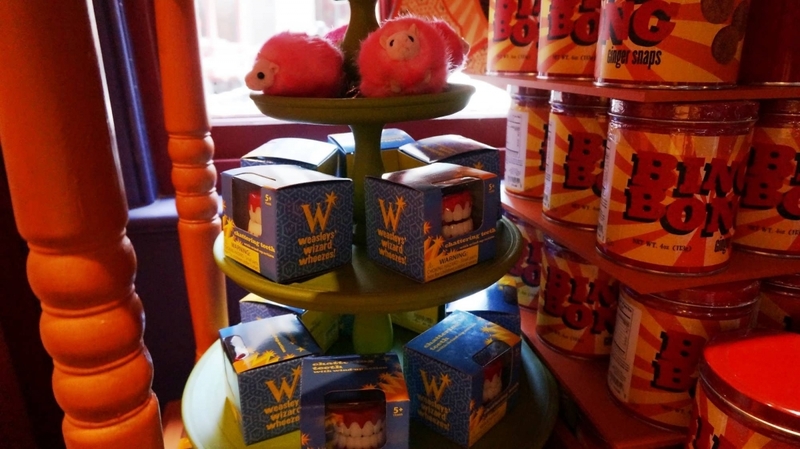 You can find Chocolate Frogs, Bertie Bott’s Every-Flavor Beans, Fudge Flies, Shock-o-Choc, Dark Chocolate Wands, Fizzing Whizzbees, Exploding Bonbons, Peppermint Toads and Imps, Jelly Slugs, and Bing Bong Ginger Snaps (which were originally carried over at Weasleys’ Wizard Wheezes) here. 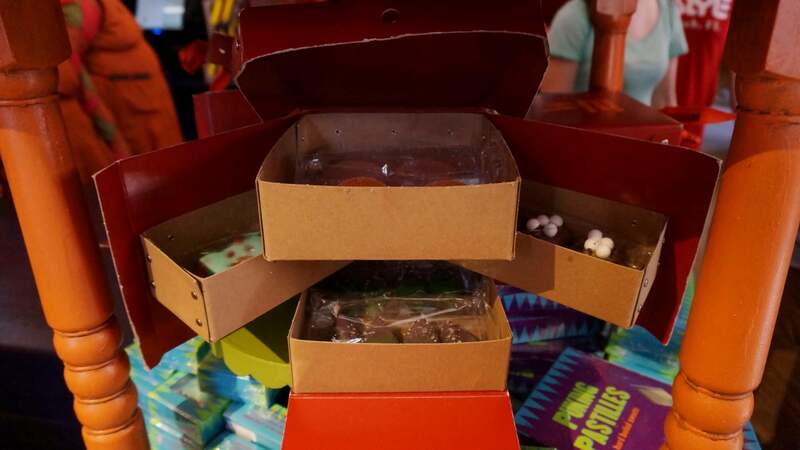 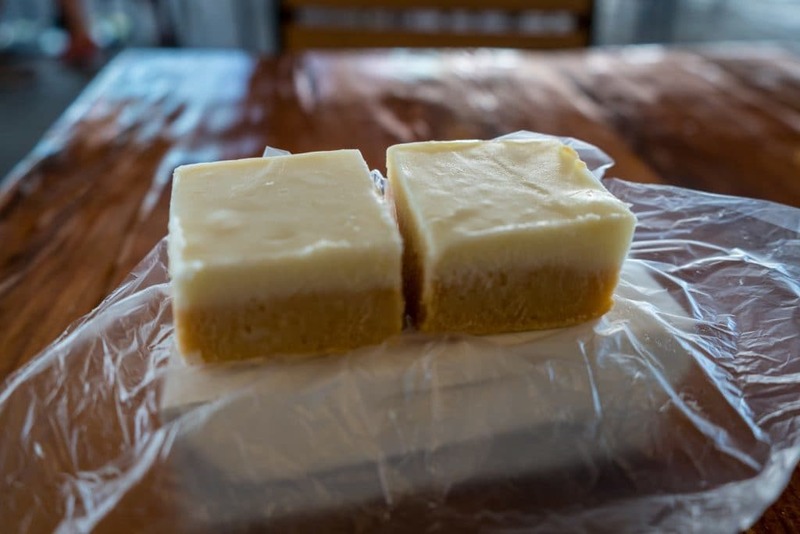 Expect to spend between $5 and $11 for your culinary delights. 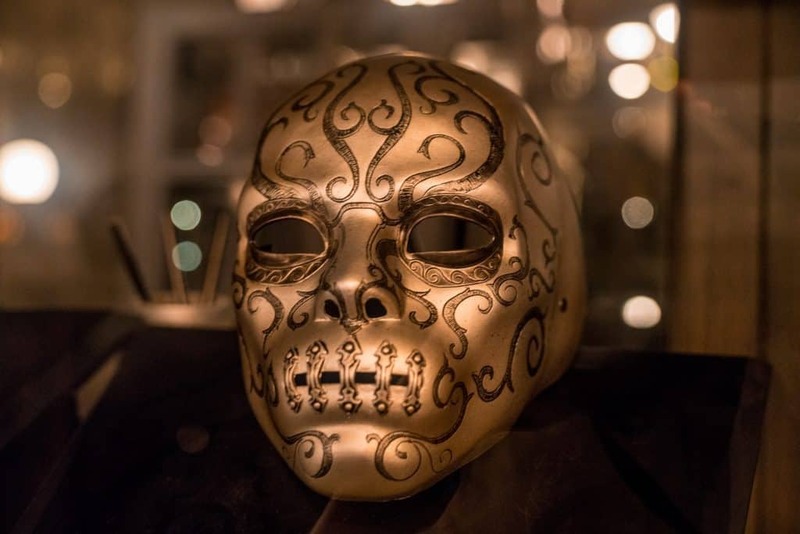 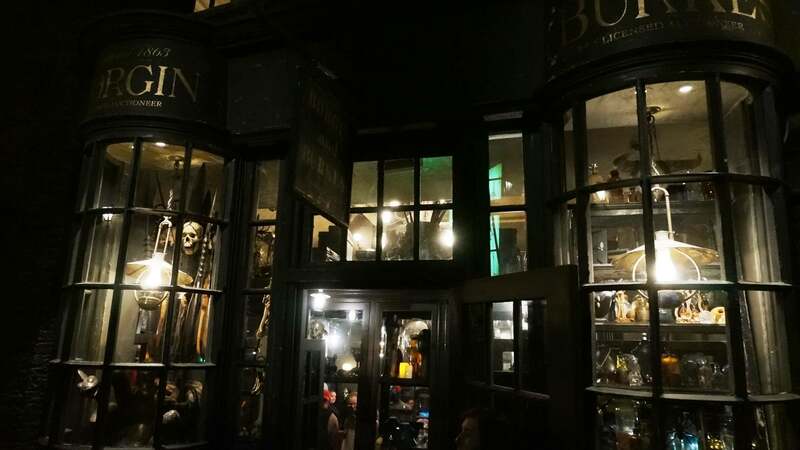 In the cold, dark, and foreboding Knockturn Alley, guests can shop in Borgin and Burkes, a remarkable venue for those who may be fascinated with the Dark Arts. 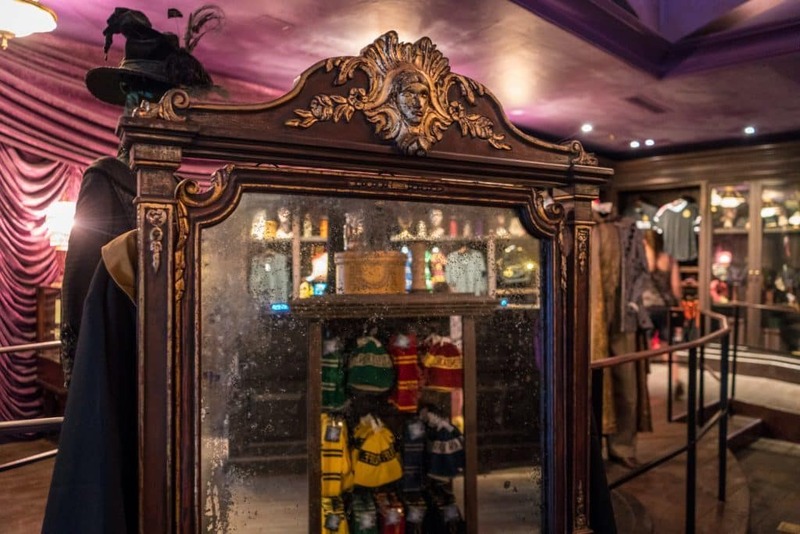 As guests shop, they will hear the canary in the vanishing cabinet and a Boggart trying to escape its locked chest, adding to the unique and eerie shopping excursion. 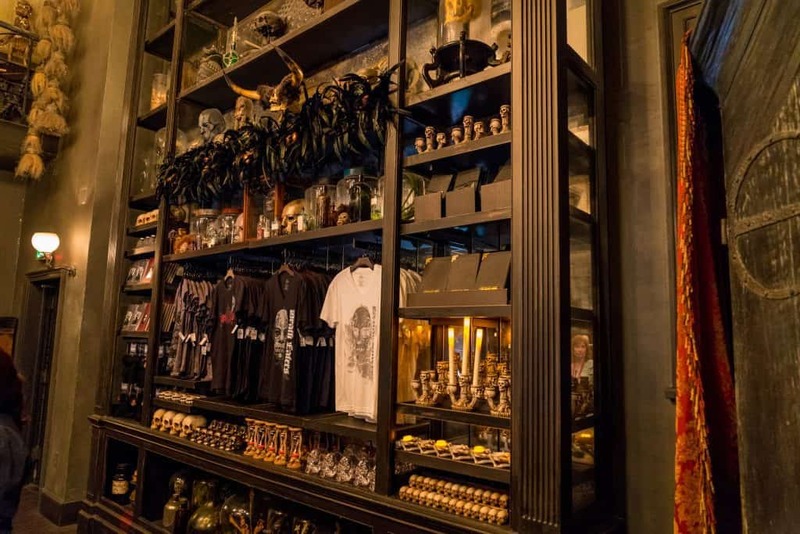 Numerous items highlight the dark magic aspect of the wizarding world, including Death Eater shirts ($28 to $30) and a Death Eater mask ($110). 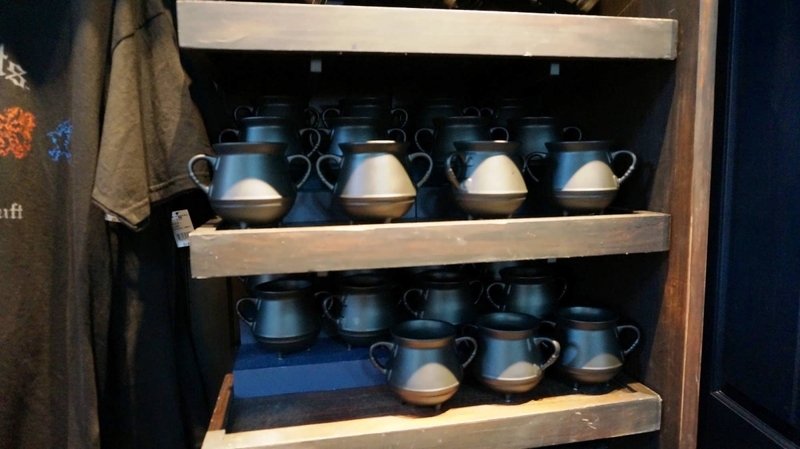 Deathly Hallow mugs sell for $19 and shirts for $35. A variety of Azkaban shirts, including images of Bellatrix Lestrange and Sirius Black wanted posters, are $25 to $30. A walking stick, including a removable wand, can be bought for $125. With so many souvenir choices available at Diagon Alley, it can be tough to know where to start. 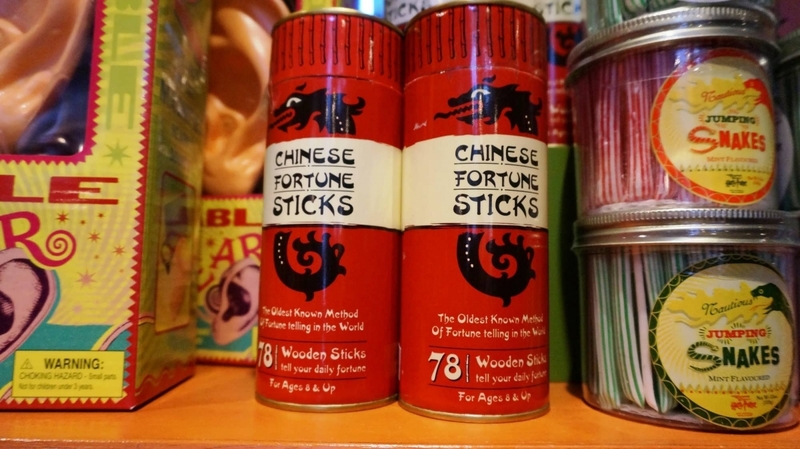 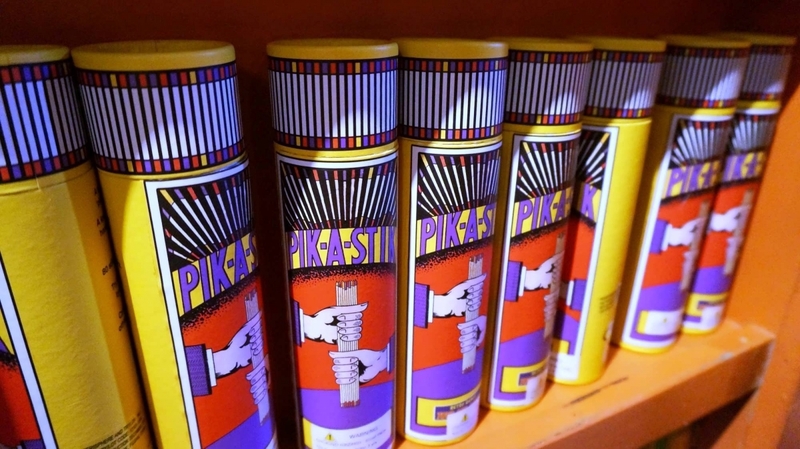 In an effort to help you kick off your spending, we’ve compiled a short list of what we feel are the best items in terms of their novelty, collectability, and value for first-time visitors.